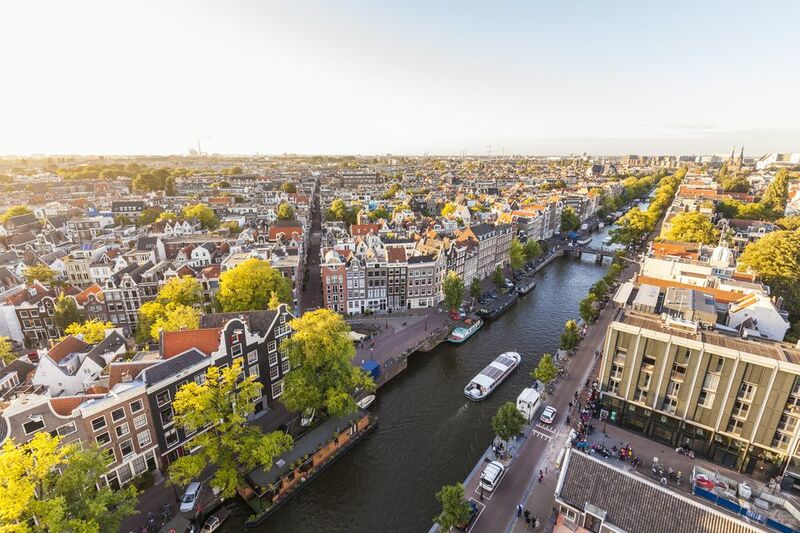 With its ring of canals that all seem to look the same, a flat horizon that makes it tough to see landmarks and the tiny alleys whose names are longer than they are, it's no wonder the site of visitors staring blankly at upside-down maps is a common one on Amsterdam street corners. Follow this quick and easy advice to avoid getting lost in Amsterdam. Of course, if your travel plans include getting "lost" on purpose and going where your journey takes you, have an adventure! Don't assume that because Amsterdam is relatively compact you can just wing it and find what you're looking for. A good map is essential to getting around and helps visitors make the most of their exploring time. Notice that street names often change when the route crosses water. Once you're armed with the map(s) of your choice, start circling, jotting and marking things like your hotel location, sights you'd like to see, that funky shop you stumbled upon in the Jordaan neighborhood, the hole-in-the-wall café you found that you loved. This will help you understand where things are in the city, relative to each other, to what areas you've seen and to what areas you'd still like to explore. And you'll have a record of your discoveries for your travel journal as a bonus. Keeping this tip in mind will separate you from the tourists who spend an hour looking for the Anne Frank House by making a simple wrong turn on a canal. On any of the canals that ring the city (the three main ones are Herengracht, Keizersgracht, and Prinsengracht), the house numbers get bigger as you head east along the horseshoe. This is because the city built the western sections of the canal belt first, then gradually expanded as it grew. So if you find yourself on one of the canals and have no idea which direction you're headed, start looking at numbers. If they're decreasing, you're headed west, with Centraal Station on your right. If they're increasing, you're headed east, with Centraal Station on your left. Shed the fear that you'll look stupid or encounter a language barrier if you ask for help. Almost all Amsterdammers speak great English and are happy to assist a (polite) visitor. They understand that the city can be confusing and take pride in being able to communicate with English-speaking travelers. Interactive Amsterdam City Map: Enter a street name and address, or just the postcode, and this map pinpoints the location. Amsterdam Public Transportation Maps: Find out which tram, bus or metro will take you where you want to go. How Much Should I Tip for Various Services in Amsterdam? This tourist info point in Amsterdam is set in a lovely historic café. Why everyone should take the time to learn some basic Dutch phrases.